Brown was convicted of punching his pop-star ex-girlfriend Rihanna in the face in 2009. He also served a prison sentence in 2016 for assault with a deadly weapon. 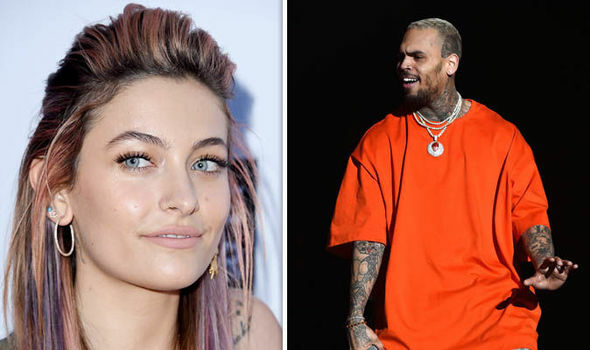 The talented performer, once ironically considered a wholesome R&B teen superstar with Michael Jackson potential, also has a restraining order against him from another ex-girlfriend, model Karrueche Tran, who last year accused him of pushing her down a flight of stairs. 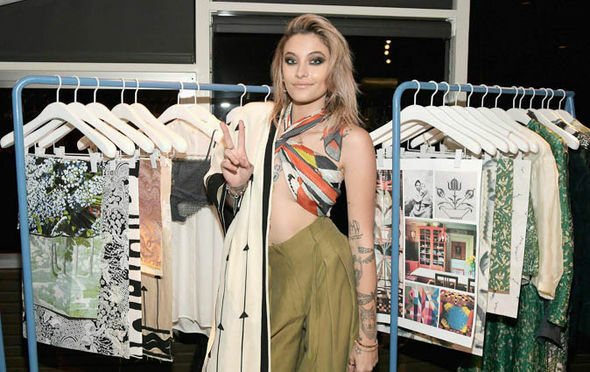 Paris, however, who has spoken openly about being assaulted by a “complete stranger” when she was just 14, showed off her and the Whippin’ singer’s close bond in a series of photographs at her star-studded do, which took place at Hyde in West Hollywood. Chris even had pride of place beside the burgeoning actress during the cake-cutting and in one particularly intimate snap Paris, who was photographed and filmed at Chris’s house last month, snuggles up cheek to cheek with the star. Michael would not approve of you hanging with Chris Brown of all people. The outcry from fans was instant, with many insisting her late superstar father would be turning in his grave. “Michael would not approve of you hanging with Chris Brown of all people,” wrote one on Twitter. Paris has in common with Grammy-winner Chris a love of cannabis and tattoos. She has 50, many that she says cover the marks of previous drug use. DO NOT ask Lesley Joseph about the current gender pay gap debate because she’s simply not interested! When Day & Night asked for her thoughts on the issue the 72-year-old, who was up for the Olivier award for best actress in a supporting role for her part in Mel Brooks’ Young Frankenstein, she replied: “Why can’t we celebrate theatre [not] talk about pay gap? Let’s celebrate the wonder of British theatre. 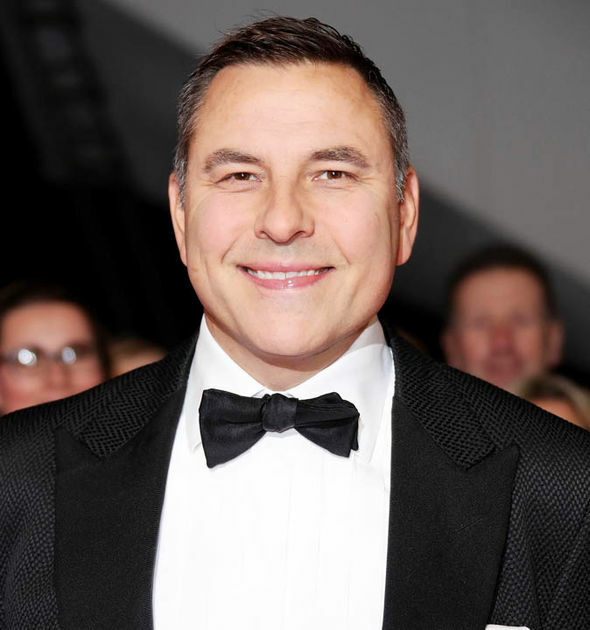 DAVID WALLIAMS admits Little Britain was purposely racist and stereotyped minority groups. The duo received endless complaints from viewers about their controversial material, which included them being “blacked-up” for the BBC show which aired from 2003-2005. And David certainly gives the impression he’d do it again today if he could get away with it. 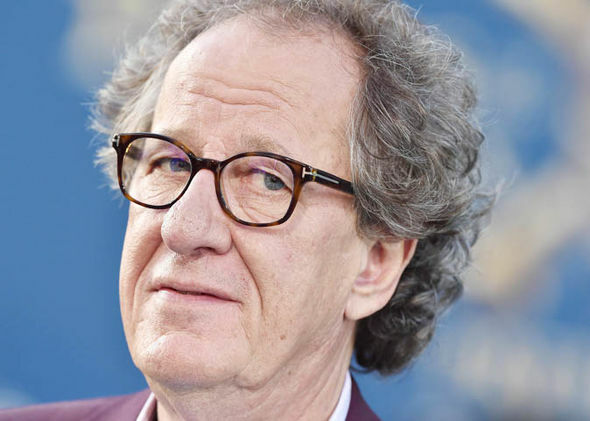 MULTI-award & winning actor Geoffrey Rush has become housebound and barely eats since being accused of sexual assault. His lawyer says he has suffered “tremendous emotional and social hardship” since the accusations appeared in an Australian newspaper last December. The Oscar-winning star, who has also won an Emmy for TV work and a Tony Award for theatre, denies that he groped cast member Eryn Jean Norvill during the Sydney Theatre Company’s production of King Lear in 2015. But he has stepped down as president of the Australian Academy of Cinema and Television Arts because of the claim. The 66-year-old Shine actor, who is married to actress Jane Menelaus, 59, with whom he has two children, is suing the publication over the articles, which he says portray him as a sexual predator. ROCHELLE HUMES reckons hitting the town with Sky football pundit Chris Kamara is like going out with a pop star. “When we all go out for dinner it’s a joke,” she tells Day & Night. The 29-year-old former Saturdays singer returns with Chris, 60, and Ben Shephard, 43, as hosts for the fourth series of assault course gameshow Ninja Warrior UK on ITV One this Saturday. So does former footballer Chris ever tire of hearing his “Unbelievable, Jeff!” catchphrase – coined from his enthusiastic responses to host Jeff Stelling while working as a pundit on Sky’s Soccer Saturday – shouted back at him in the street? 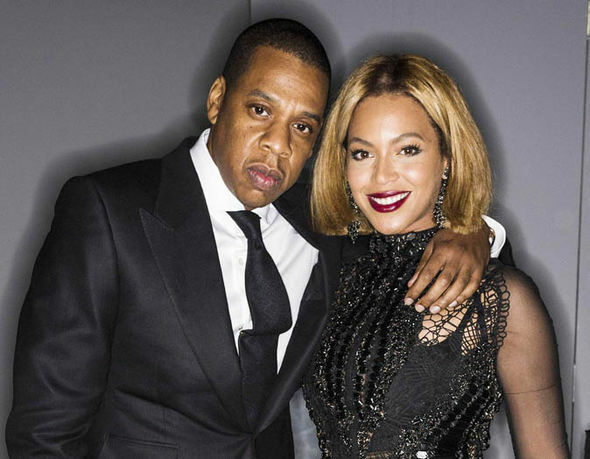 POP power couple BEYONCé and husband JAY-Z hope to turn their luxury LA mansion into an impenetrable compound. The Lemonade singer, 36, and the rapper, 48, aim to convert their £62million residence into a five-star version of Fort Knox, with acres of their land dedicated to housing their army of bodyguards and state of the art security equipment that can detect intruders from anywhere on the property. The couple – who have daughter BLUE IVY, six, and 10-month-old twins RUMI and SIR – have also asked permission to build a 10-car garage for their fleet of vehicles on the compound. The over-the-top gated pad already features four outdoor swimming pools, a large garage, spa and wellness centre, a media room, multiple outdoor entertaining areas, a full-sized basketball court and staff quarters. Sounds delightful but just imagine the vacuuming! 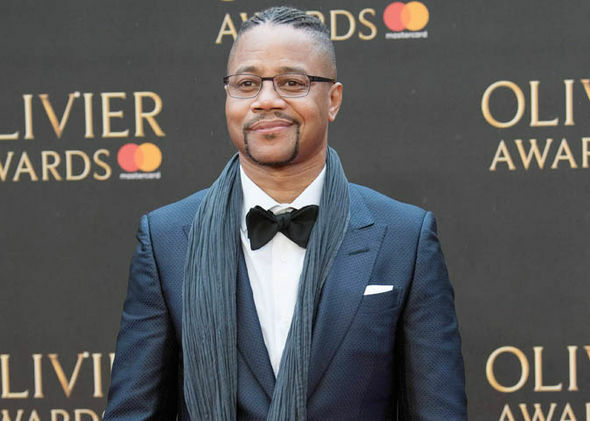 WHEN Cuba Gooding Jr won an Oscar for Jerry Maguire it was a dream come true but instead of propelling him to greater success, the actor’s career hit the doldrums. Now, over two decades later, the 50-year-old, who is performing in Chicago in the West End, says his pompous attitude post-Oscars is to blame for the plummet. “It made me precious about my art. I’ve made bad choices,” admits the native New Yorker, who finally got things back on track playing OJ in the 2016 series The People Vs OJ Simpson.